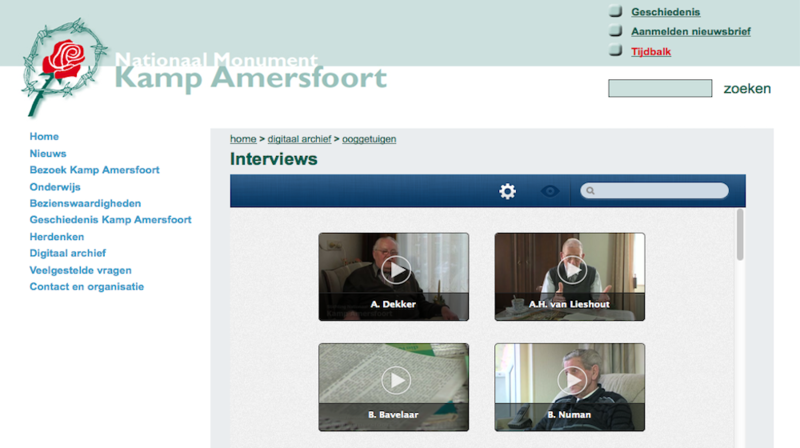 Noterik maintains the online video collection of the Kamp Amersfoort organization, which maintains the territory of the former Camp Amersfoort as a place of remembrance, commemoration and reflection. The video collection consists of about 100 interviews, which enlighten memories of what life was like at the camp. We provide tools for indexing the interviews and for publishing them in an appealing way. 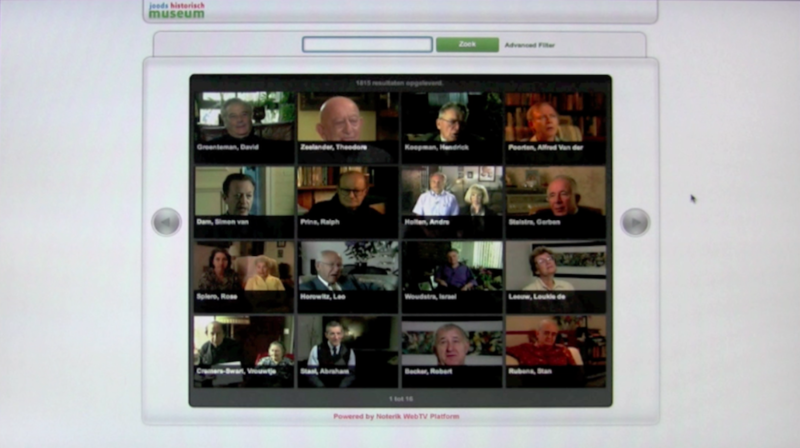 The interviews are currently being indexed using our Fragment Tagging tool. You can have a look at the manual of the tool in this PDF document (in Dutch). In the project we are cooperating with the company Telecats, who are providing speech recognition services on the Interviews. In the second phase of the project our Exhibition Builder will be used for editing selected parts of the interviews, which will be published in the context of specific topics related to the work camp.